hese questions can either be Yes/No questions, True/False, Confirm/Reject or Attend/Miss. 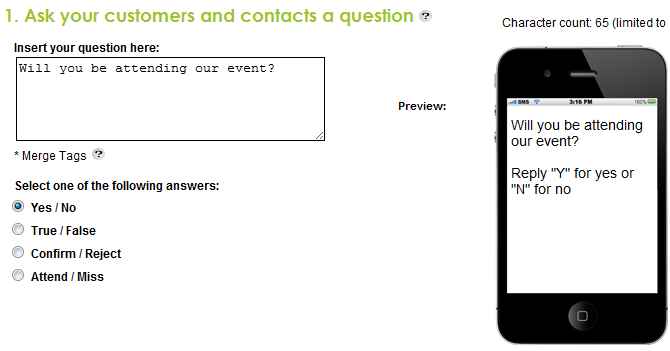 Attach a message, a coupon, or nothing at all in response to the user’s answer. This is your chance to reward the user for their participation, or to thank them for supplying you with a response. View the results immediately upon receipt of users’ responses! You can view the numbers according to their answers and what time they responded!